n the newsletter on December 14th I wrote an article on my ride up South Mountain as a good in town alternative for an in-town ride. As part of the ride I also visited a really cool restaurant near South Mountain that I would highly recommend that you try as part of your ride. The name of the restaurant is called “The Farm at South Mountain” located at 6106 S. 32nd St. in Phoenix, AZ. I stopped by The Farm around 12:30pm on my way to the ride up South Mountain and had lunch at what is called The Farm Kitchen. It is open 7 days a week from 10am – 3pm. With their walk-up counter, you can choose from an assortment of delicious sandwiches, fresh soups, seasonal salads and made-from-scratch baked goods. You can then take your meal to one of the picnic tables in the shade of the 5-acre pecan grove, enjoy your lunch and forget all about that you’re in the 5th largest city in the United States. Perfect for a group ride too as there are plenty of picnic tables for seating. If breakfast is what you are after, I can’t think of a much better ambiance for that. You ride down the long driveway through the Pecan trees and you will reach the Morning Glory Café tucked back in the trees at the end of the road. This is a really cool spot that has plenty of outdoor seating and would be great for a group ride or just a couple. It even has outdoor heaters if it is cool, and umbrellas. Morning Glory Café serves house baked muffins and pastries, locally made sausages, seasonal omelets and more. Hours are from 8am – 11am, Tuesday – Friday and 8am – 1pm Saturday and Sunday. The Morning Glory is definitely next on my list at The Farm. 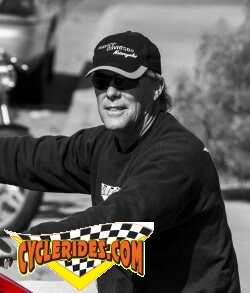 If you are looking for a good ride here in the valley, I would highly recommend breakfast or lunch at The Farm and then a nice ride up South Mountain for a relaxing day on your motorcycle. Sign up for the Cyclerides.com Weekly Update Newsletter at www.cyclerides.com for more details on this trip. Blessings and Safe Riding to All.